We married the following year and moved to Jerusalem. For nearly 20 years we lived happily, raising a family and enjoying our lives together. But my fairy tale came to an end on the afternoon of June 11, 2010. In the morning we made plans to take our daughters to the beach that afternoon, Ziad never made it home. The Israeli border policemen who shot and killed my husband declared that Ziad was a “terrorist” shot dead from a distance. But my husband was no terrorist. He loved life. He loved people and animals and he loved us, his family, with a passion. We had to conduct our own investigation to find out how my husband died. The Israeli unit that investigates police killings failed to interrogate any of the many eyewitnesses to Ziad’s death and only questioned the border policemen involved in the killing. By gathering evidence and testimonies independently we learned the truth. Ziad, while driving home in his pickup truck, swerved into the opposite lane, where a group of border policemen were walking on the road. Ziad’s pickup truck brushed against two of the border policemen causing scrapes and bruises. Unfortunately, Ziad can no longer tell us exactly what happened, but eyewitnesses reported that there was stone-throwing in the area and that Ziad’s windshield was hit by a stone. This description explains a big dent in Ziad’s front windshield and accounts for his swerve. The Border Policemen opened a massive barrage of live fire at Ziad’s vehicle. Surrounding cars were hit and a little girl was injured. Ziad fled from the bullets to a nearby dead-end alleyway where his uncle lives. Three Border policemen ran forward firing into the alley. Ziad leapt out of the truck and ran in the direction of his uncle’s house, but was shot in the back and fell injured to the pavement. While the commander of the unit, Shadi Heir al Din, reported that the “terrorist” had been neutralized, border policeman Maxim Vinogradov walked up to my husband and confirmed the kill. Vinogradov put his M16 to Ziad’s head and fired two shots. According to an eyewitness, Vinogradov placed his boot on my husband’s neck when he shot him. The practice of confirming killings is illegal under international law. My lawyers appealed to an Israeli judge to exhume Ziad’s body in order for an autopsy to be performed. As it was clear that the autopsy would reveal the fact that Ziad was shot from point-blank range, Vinogradov completely altered his original testimony because he “suddenly remembered” that as he was standing above Ziad he saw him move his hand and so had to shoot him in the head. Despite Vinogradov’s misrepresentation and the fact that the investigations unit concluded that they “could not rule out that Ziad had swerved innocently and without the intention of running over the border policemen,” the case against Vinogradov and his commander was closed for lack of evidence. My daughters and I have appealed to Israel’s Supreme Court, but when I asked the American Consulate to help me see to it that my husband’s killer stands trial they told me that their hands were tied since they had no jurisdiction in Israel. I disagree. Our government gives Israel more than $3 billion in annual military aid. It is our government’s responsibility to use its leverage with Israel to stop Israel from using these weapons to commit crimes. The Israeli military has a history of ignoring the lives of Palestinians, and then supporting their killers. An example is the appointment of Brig. Gen. Roni Numa as the head of the Israeli army’s “Depth Corps” and the Military Colleges, as well as his promotion to major general, two weeks ago. This occurred despite the fact that the State Prosecutor’s Office and the Military Advocate General determined that, in 2001, Numa approved an operation in which Abdallah Jarousha, from Tul Karem refugee camp was shot in the back and killed in violation of the Israel Defence Forces’ rules of engagement. The criminal case in the matter was closed, though the Military Advocate General Corps noted in its decision that “in advance, the firing, as was approved, should not have been approved.” Roni Numa also changed his version of the events many times while the murder was being investigated, forgetting and then remembering that he had given the order. Like the case demanding accountability for my husbands murderer, the case Abdallah Jarousha’s family launched spent years in the Israeli courts, and despite an innocent civilian being murdered in cold blood ended, no Israeli was ever charged. 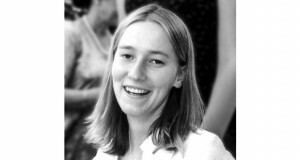 My husband was killed by a trigger-happy Israeli border policemen. They ought to face trial for both the crime and the cover-up. It’s time for the American government to step up, support American citizens such my daughters and I, and insist that Israel hold a proper trial. Moira Jilani is an American citizen. She is the widow of Ziad Jilani who was killed by Israeli border policemen in 2010 while driving home. 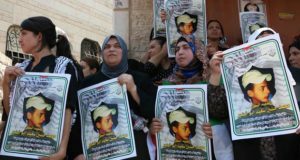 Moira and her daughters have appealed to Israel’s Supreme Court against the closing of the case against Ziad’s killers.